What Makes States Rich or Poor? 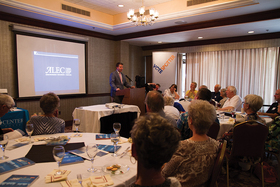 Jonathan Williams discusses state public policies at a recent event in Traverse City. 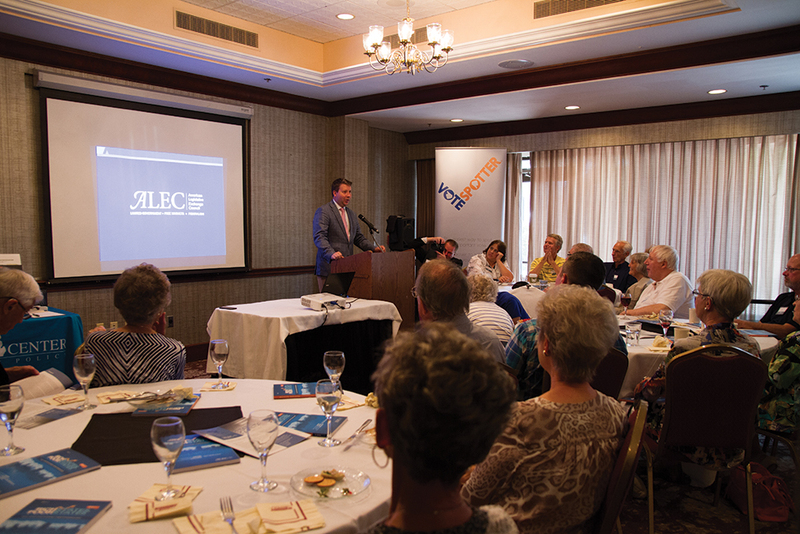 The Mackinac Center co-hosted an event Aug. 16 with the American Legislative Exchange Council titled “Rich States, Poor States,” which is also the title of a book on economic policy. About 50 people heard Jonathan Williams, one of the co-authors of the report, discuss state public policies and how they affect the economic well-being of people and the states they live in. The report also looks at the economic incentives people face to move to or from a state. Williams, along with Arthur Laffer of “Laffer curve” fame and economist Stephen Moore first published the book in 2007 and have updated it annually. The book features an index designed to measure the past economic performance of all 50 states and rank their economic forecasts. 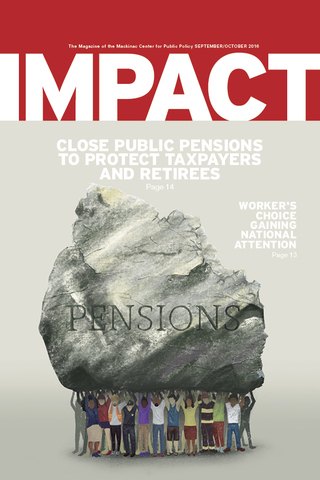 The index is made up of 15 variables that measure how states use different policies, including the top marginal tax rates and whether a state has a right-to-work law. Michigan’s rank has improved over time but is still a middling 22nd of 50. Williams said that the differences between the economic prospects of the top 20 and bottom 20 states are stark and probably not a coincidence. He zeroed in on state-to-state migration. He mentioned that people are moving to three states ranked high in the index: No. 2 North Carolina, No. 8 Florida and No. 12 Texas. At the same time, people are moving out of three states that are ranked low: No. 50 New York, No. 46 California and No. 43 Illinois. Recent research by the Mackinac Center using Internal Revenue Service data showed Florida and Texas as the top destination states for people leaving Michigan’s three most populated counties of Wayne, Oakland and Macomb. The takeaway from the event was that state policy matters to economic performance. Good policies create opportunity-oriented states that attract people along with their talent and money.